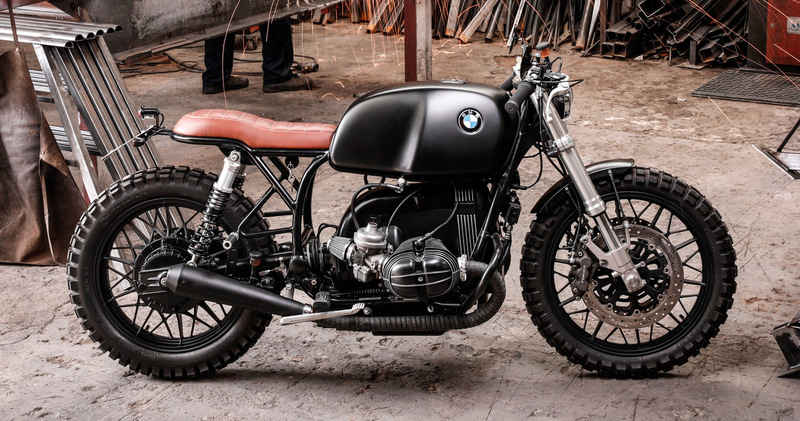 The BMW R100 is one of those motorcycles that we love to use as the basis for our creations, this the reason why we have based CDR98 cafe racer on a R100/7. Mechanically the engine of the R100 that we have used for the CRD98 is a four-stroke boxer type engine, twin cylinder, which has been completely disassembled to see which parts could be used and which were not recoverable. Throughout the work process we have been able to reuse original BMW parts such as the air filter or the fuel tank, while we have to replace those that were in worse condition. For example, for the carburetor we have selected a brand reference as Dellorto, this Italian manufacturer is in our opinion one of the highest quality and performance level. The exhaust pipe was designed and manufactured in our workshop in Paracuellos del Jarama, to show in all its splendor the personality of Cafe Racer Dreams. To mention also the electric parts, we have chosen a starter produced by Tiny. 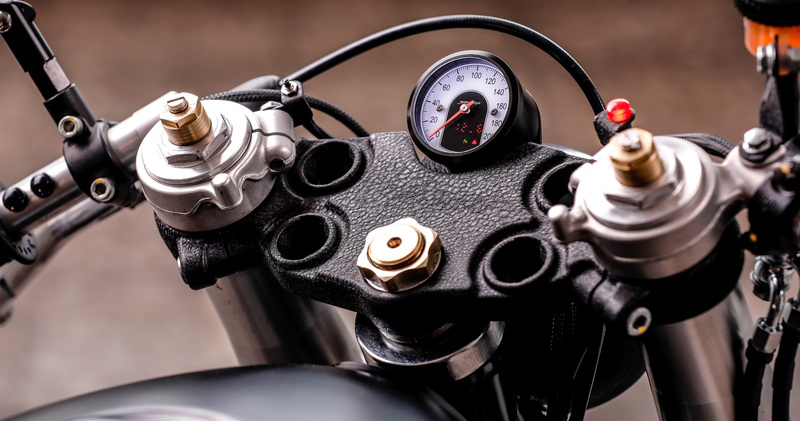 And both the speedometer and the control of the lights is Motogadget, which have been installed in a Rental Ultra Low handle bar, together with black Biltwell grips. From the original BMW R100 we have also been able to take advantage of the chassis, while the subchassis -for aesthetic reasons-, has been made in our workshop. 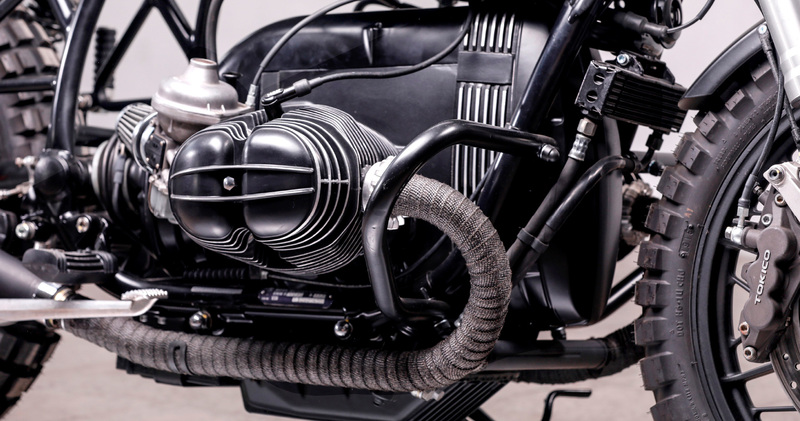 The multitubular construction of the original chassis has allowed us to give CRD98 cafe racer a behavior very similar to that of the BMW donor. As far as the fork is concerned, we thought the most appropriate would be a Suzuki inverted fork. And for the shock absorbers we have selected some of the Hagon brand. From the original BMW undercarriage we have been able to reuse the front wheel, as well as the brake and caliper, while both tires are Firestone Deluxe vintage air, which give a very personal aesthetics to the motorcycle. 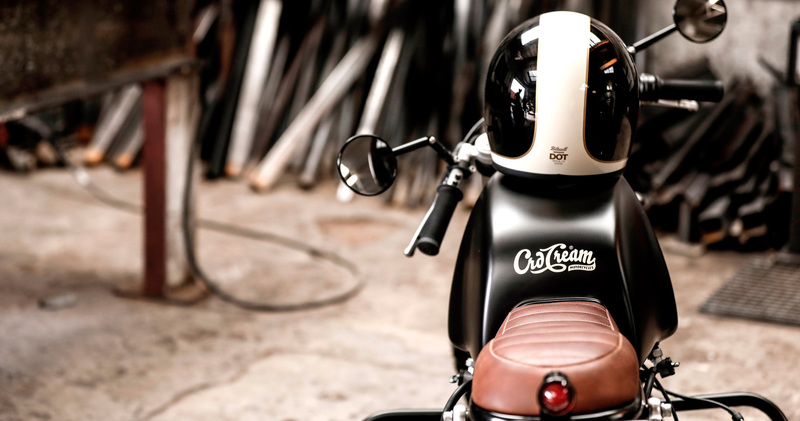 On the other hand, elements as characteristic of Cafe Racer Dreams as the headlight, taillight, fender or license plate holder could not be missing in the CRD98 Cafe Racer. 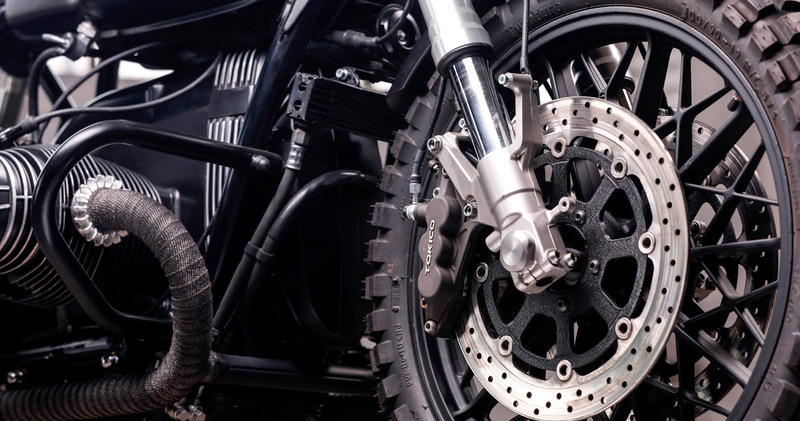 In fact, these parts designed and manufactured by us are what ultimately catch our customers’ attention, because they give the trademark Cafe Racer Dreams personality. 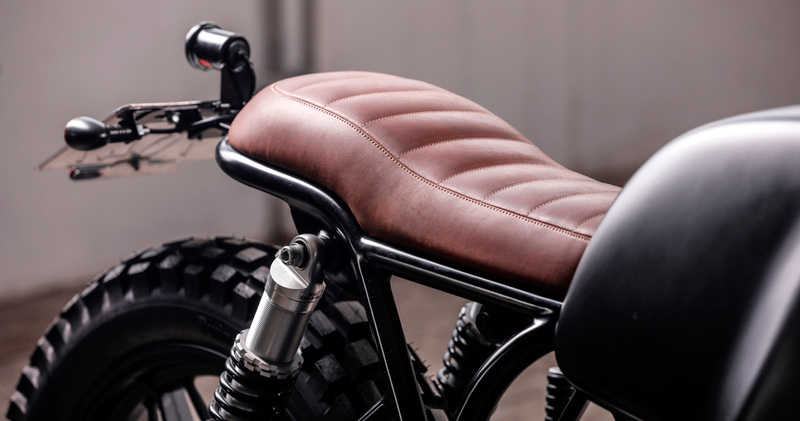 All that remains for me to explain is what the CRD98 seat looks like, it is the first motorcycle from Cafe Racer Dreams, that has an accessory designed and manufactured by the leather goods company Cafe Leather Supply. This wonderful seat made of leather in caramel colour -which contrasts with the dominant matt black colour- is handmade, with leathers without chemical treatment and that are, therefore, totally respectful with the environment. Would you also like to enjoy a Cafe Racer Dreams? Although we currently have a considerable waiting list of people interested in buying our motorcycles, we will be happy to answer any of your questions and doubts.